Buick dealerships sell some of the most impressive and quality vehicles on the market today. Buying a new vehicle can be risky and stressful, but with a dealership such as Carl Black, you can rest easy knowing you are getting the best service for the best vehicles. 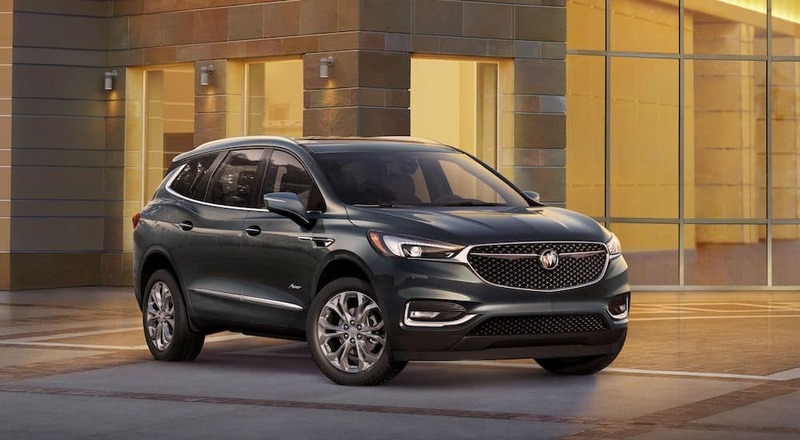 Buick offers both sedan style cars and luxury SUVs that are engineered to be affordable while making the lives of its drivers better. We at Carl Black are a reliable Buick dealership that treasures loyalty and dreams of building the perfect one-stop automotive community for every driver’s luxury car needs. Buick was established in 1903 in Detroit, Michigan. Buick is referred to as a premium automobile brand that sells luxury vehicles. Buick sells more cars in China than in the United States. Buick took three decades to produce a car that topped 100 mph, and they named it the 1936 Buick Century. Buick only manufactured two vehicles in its entire history that fits up to eight people, the Enclave and the Roadmaster Estate. The 2018 Buick Cascade is a thick and stylish convertible that allows you to live life wild and free. The exterior offers eight gorgeous paint colors, three placate top colors and three handsome wheel designs. The interior is offered in either neutral or jet black to give you your choice of cabin refinement. The 1.6L I-4 turbo engine hits 200 hp and 207 lb-ft of torque, or use the overboost phase to push it to 221 lb-ft of torque. As for features, the cabin contains an exciting 7-inch infotainment system that will keep you connected at all times. Starting at $33,065 the 2018 Cascade comes ready to cruise. The 2018 Buick Encore is a sleek and spacious SUV that combines a charming aesthetic with a flexible maneuverability. With nine refined paint colors, three interior options, and four stunning wheels, you can get exactly what you want out of the Encore when it comes to style. The 2018 Buick Encore comes with a 1.4L 4-cylinder engine that offers up to 153 hp and 177 lb-ft of torque. As for highlighted features, this model has smartphone connection, a five-star safety rating, and versatile folding seats to boost the overall cargo and passenger capacity. Starting at $22,990, the 2018 Buick Encore will leave you satisfied again and again. The 2018 Buick Envision is a responsive and luxurious SUV that is always innovating to fit your needs. With six paint options and four shocking wheel designs, the exterior of the 2018 Envision will stand out in all the right ways. The three interior color options further the overall luxury design allowing you to choose between a refreshing light cabin or an elegant dark cabin. The 2.5L engine is filled with spirit as it produces 197 hp, while the 2.0 turbo engine pushes it further with 252 hp and 260 lb-ft of torque. As for features, the Envision was born for luxury and safety with all the alerts and convenience options you could possibly think of. At only $33,995, the 2018 Buick Envision is art in the form of a glamorous SUV. The 2018 Buick LaCrosse is a fashionable and vibrant sedan style car that really loves to show off. The 2018 Lacrosse offers nine paint colors, three interior options, and three wheel options to further optimize its customizability. The 2018 LaCrosse comes with two engine options, featuring a 4-cylinder and a V6 engine. The 4-cylinders offers 194 hp and 187 lb-ft of torque, and the V6 contains 310 hp and 268 lb-ft of torque. As for features, the 2018 LaCrosse offers six high-end safety features, mobile connectivity, and comfortable seating that was made to relax. Starting at $29,565, the 2018 Buick LaCrosse is a beautiful option for any occasion. The 2018 Buick Regal Sportback is a sport and smooth sedan style vehicle that moves like butter with a sturdy speed. With nine paint colors including a sleek Carrageen Metallic, three attractive interior colors, and four-wheel designs, everything about the appearance is in your hands. The 2018 Regal offers two engine types including a 4-cylinder turbo and a V6 engine. The 4-cylinder offers 250 hp and up to 295 lb-ft of torque, and the V6 offers 310 hp and up to 282 lb-ft of torque. As for features, the 2018 Regal offers six unique packages to give you everything from navigation to wireless charging. Starting at $24,990, the 2018 Buick Regal Sportback offers everything you want in your anything but typical sedan. Buying from any dealership can be confusing and stressful even for the most experienced of us. In order to help with that, here are a few quick tips on how to make your automotive experience as smooth as the cars they sell. 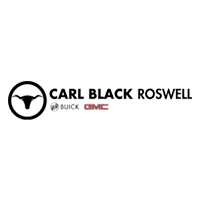 Carl Black Roswell – Your Buick Dealer! Overall, when buying a vehicle at a Buick dealership, all you truly need to know is you are about to make the best investment of your life.